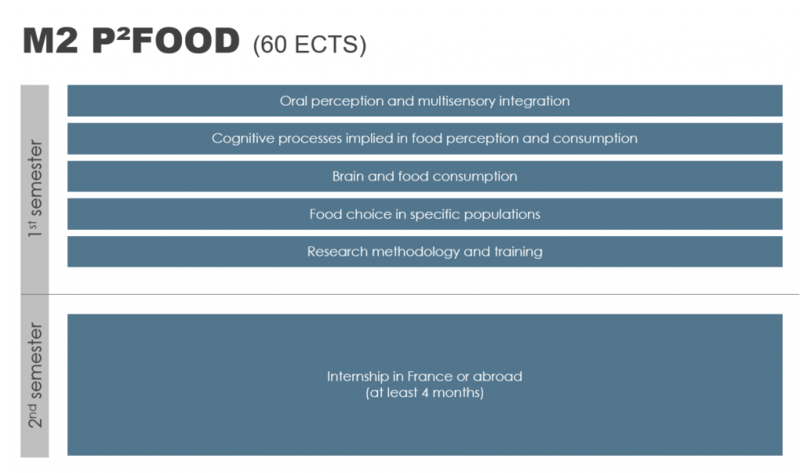 P²food is a 2-year, course-based, full-time international research Master’s Degree focused on the physiological and psychological determinants of food choice, offered by the University of Burgundy – Franche-Comté and AgroSup Dijon. Food plays a much bigger role in consumers’ lives than simply feeding them. Each day, humans make several food choices. Their diet has considerable impact on their nutritional status and health, but also on the environment. A greater understanding of the reasons for consumers’ choice of foods is needed in order to set up effective programs and develop new products, to improve dietary patterns in line with recommendations, and to increase food sustainability. Although seemingly simple, food choices are complex behaviors that depend on many factors and their interactions. 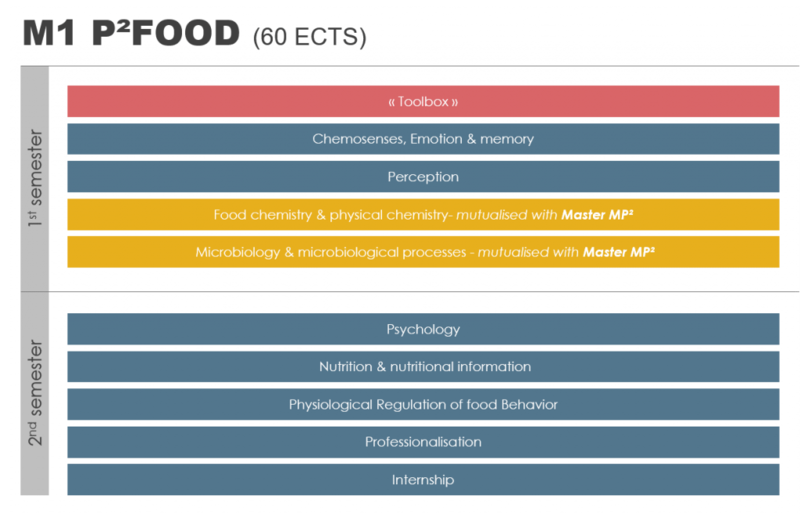 In this Master’s Degree, a key focus is placed on the physiological and psychological factors of food choice.